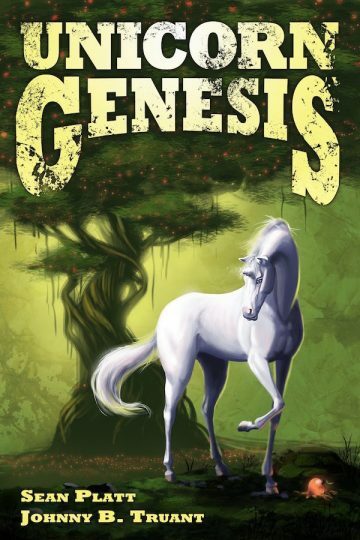 Unicorn Genesis starts in the Farback, as Edward’s Grappies spin yarn of life as the first unicorns, Adam and Eve, of the time before the Great Flood that tore the worlds apart, before The Realm, before the Sands, and before Marshall Clint Gulliver. Join Edward and Clint as the world’s favorite (and surliest) unicorn tells the gunslinger about his days as a unicorn colt, and how all life (in all worlds) began, as he comes of age in worlds both real and make-believe. Unicorn Genesis is another epic tale in the Unicorn Western series exploring oral tradition, the stories we love, and what we all believe to be true.